We are currently preparing new introductory days for UK educators, introducing the work of Reggio Emilia's public preschools. Recent conversations have provoked me to think about the language we use to describe our educational experiences with children, especially those that are specifically 'Reggio Inspired'. It has made me reflect on how Loris Malaguzzi described what he promoted in the Preschools and Infant Toddler Centres of Reggio Emilia and how I see it often being described and contested in places that consider themselves as 'Reggio Inspired". For me, the difference lies in the values of this approach that is dialogic and co-constructivist in nature.It is an approach that evolves and is alive to the constant elaboration of knowledge, as we as adults learn about the learning processes of children and indeed of human beings in relation to the world of ideas and thinking.It is not about having baskets or open shelves, or provocations or loose parts, mirrors, white walls, open spaces or wood. Nor is it about being 'Reggio Inspired' in the right way or wrong way. It is however, about how we relate to children in the educational experience and the task we have as teachers to encounter and be alongside children as they construct and re-construct knowledge about the world in which we all live together.Learning and teaching is therefore considered as a process of research by both children and adults alike. 'Inspiration' is a problematic term: it can imply, in some cases, a pickn'mix approach of educational methods and ideas which I think is contrast to the deep and complex values that are implicit and at the heart of Loris Malaguzzi's original thinking. Reggio's is a values based approach to learning and teaching (see Sightlines Initiative's collection of Introductory Articles) and NOT a methodology of teaching and specific resources, so it is worthwhile to spend our own time thinking for ourselves what Malaguzzi meant when he said that we have to think about what our own image of the child is, in order to understand what our approach to teaching is.These two things are relational and connected and affect how we teach and how we prepare our environments in readiness for children. It also affects how we talk about children, teachers, learning and the approach of Reggio itself. Reggio is not about a 'free' approach to learning: everything is to be considered in relationship of each other. We have set up our environments even if they are available for children to access freely; we take them to specific places to play; we hold the conversations we have and there is an implied hierarchy in that - so nothing, absolutely nothing, is ever neutral or free. Loris Malaguzzi described teaching and learning as a game of Ping Pong where one bats the ball back to the other.This is a relationship where the energy is preserved for keeping the ball in play; for keeping the learning alive. It requires both the presence of the adult and the child together in a process of exchange and reciprocity. Here we are after the turn of the year – feet still on the ground? Heads still looking at the stars? 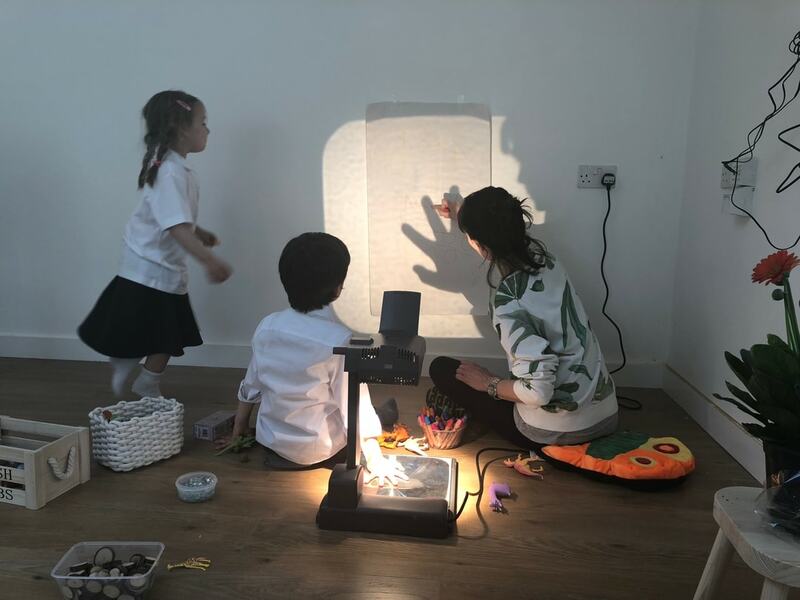 Read on and share ..
Girotondo Preschool, in Chiswick (W. London) is looking for a passionate and dedicated educator, to join their established team of educators. 'Girotondo is a 20-place, Reggio-inspired preschool. Our aim is to provide a space for children, educators and families working together in a stimulating environment through multidisciplinary enquiry projects. We are dedicated to the ongoing development of all staff, and the person we are looking for will be a reflective, responsive individual who constantly seeks challenge and innovation. Our preschool has quickly become embedded in the community around. Parents and children attending Girotondo all live in the area and are of diverse culture and nationality, which makes our school a rich and diverse environment. As a Reggio-inspired preschool, we are committed to innovation and creativity, to explore resources and the outside world, and to expose children to different learning and developmental experiences. We explore the surroundings and green areas around the school every day; walking or taking public transport and are not afraid to get wet or muddy!